Headstone of George White Crawford at the Conway United Methodist Church Cemetery in 2003. Crawford arrived in Orlando, Florida, from Tennessee in 1873. During the Civil War, he served as second lieutenant of the 5th Tennessee Infantry for the Confederate Army. 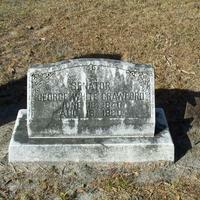 Crawford settled in the Conway area and began raising cattle and growing citrus. He was also elected three times to the lower house of the Florida State legislature and once to the Florida State Senate. Crawford also served as the Justice of the Peace. He married Sarah Mizell, the daughter of David Mizell, Jr., who was a pioneer settler of Winter Park. The Crawfords had four children: Sarah Crawford (who married Frank Cullen), Ethel Crawford, Cora Belle Crawford, and John Crawford. Located at 3401 South Conway Road in Conway in Orlando, Florida, the Conway United Methodist Church (UMC) was formed in 1870 as the Prospect Methodist Episcopal Church, South (MECS). In 1874, Morgan Montgomery Mizell and his wife donated two acres of land to build a church for the congregation. One acre was designated for the cemetery and a log cabin-like structure was constructed on the other acre, which was located at the corner of Conway Road and Anderson Road. Reverend James D. McDonald was the first to lead the church. In 1881, a new wood-frame building was constructed and was used by the Prospect MECS until it was replaced by Callaway Hall in 1959. A new sanctuary was completed in 1973. The hall was remodeled in 1994 and currently serves as the administration building. The cemetery includes graves of several members of the English Colony, which was platted in 1892 as the East Conway Churchyard Cemetery. "Senator George White Crawford." Find A Grave. http://www.findagrave.com/cgi-bin/fg.cgi?page=gr&GRid=21423840. Cook, Thomas. 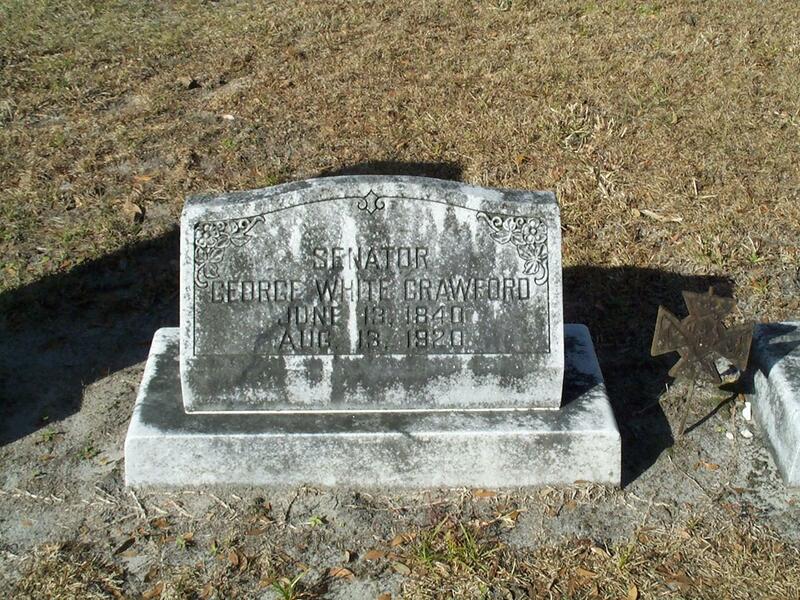 “Headstone for George White Crawford at Conway United Methodist Church Cemetery.” RICHES of Central Florida accessed April 25, 2019, https://richesmi.cah.ucf.edu/omeka/items/show/1918.